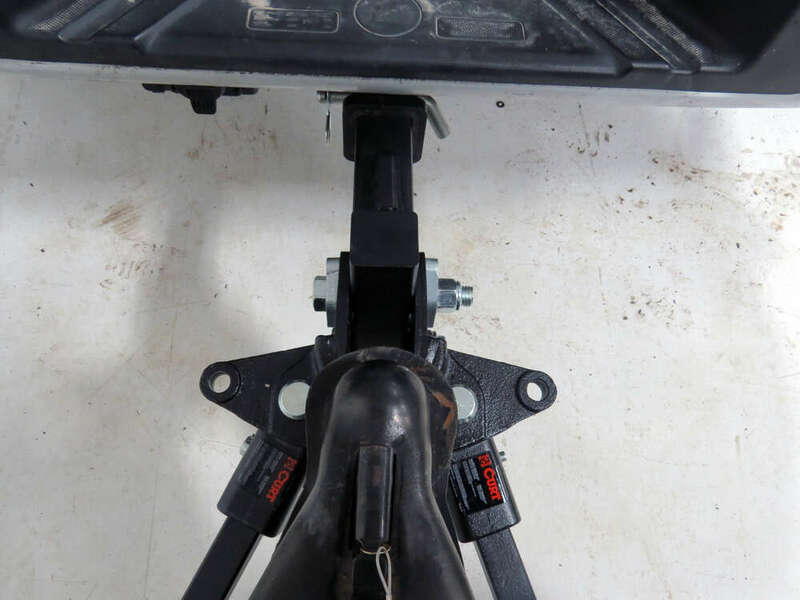 This weight-distribution system will help to evenly distribute the load over the axles of both your tow vehicle and trailer for a smooth, controlled ride. Pin-style trunnion bars. Shank included. Hitch ball sold separately. 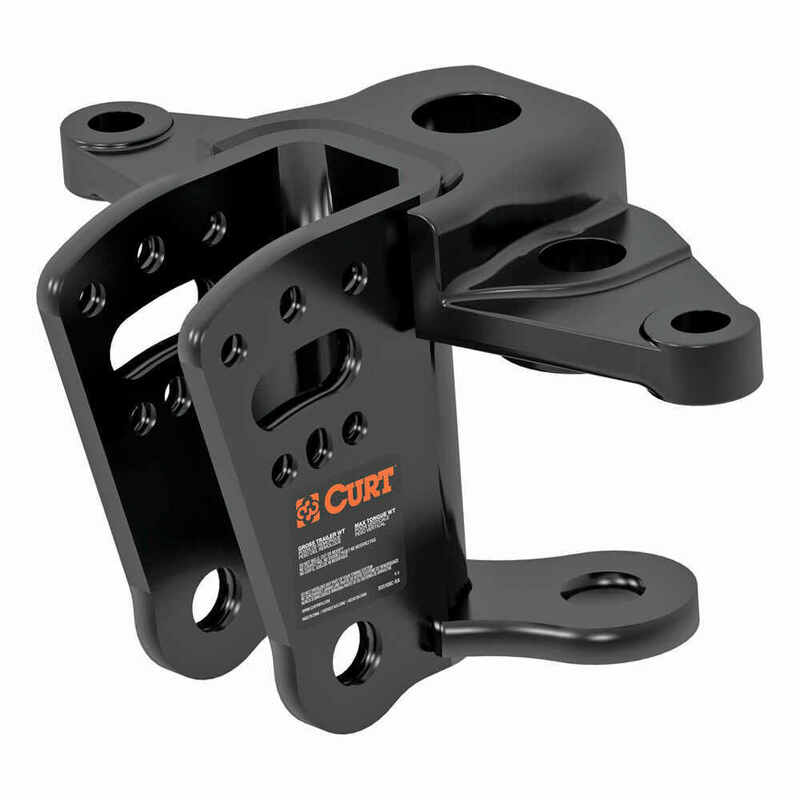 Lowest Prices for the best weight distribution from Curt. 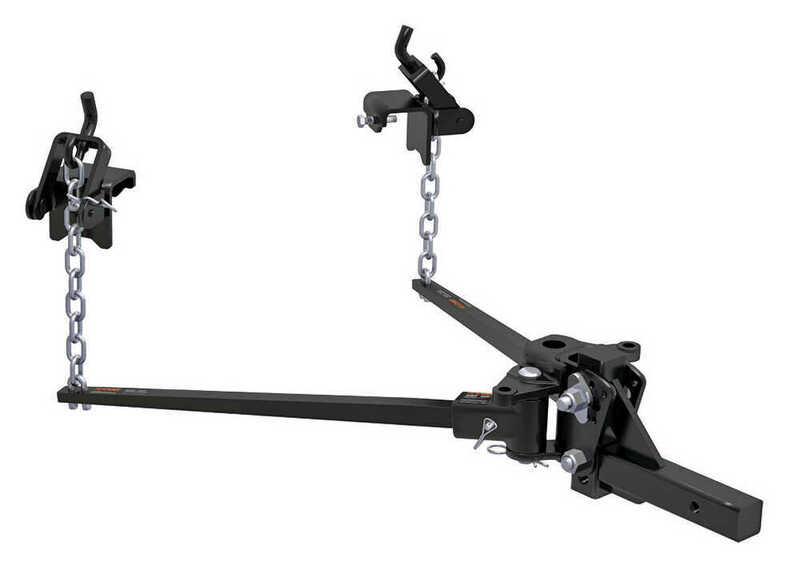 Curt Weight Distribution System with Shank - Pin-Style Trunnion Bar - 8000 lbs GTW, 800 lbs TW part number C17341 can be ordered online at etrailer.com or call 800-298-8924 for expert service. 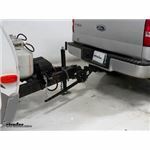 This weight-distribution system will help to evenly distribute the load over the axles of both your tow vehicle and trailer for a smooth, controlled ride. Pin-style trunnion bars. Shank included. Hitch ball sold separately. Today we're going to be taking a look at the Curt Weight distribution system with Shank. With an 8,000lb gross trailer weight and an 800lb tongue weight. Part number C17341. 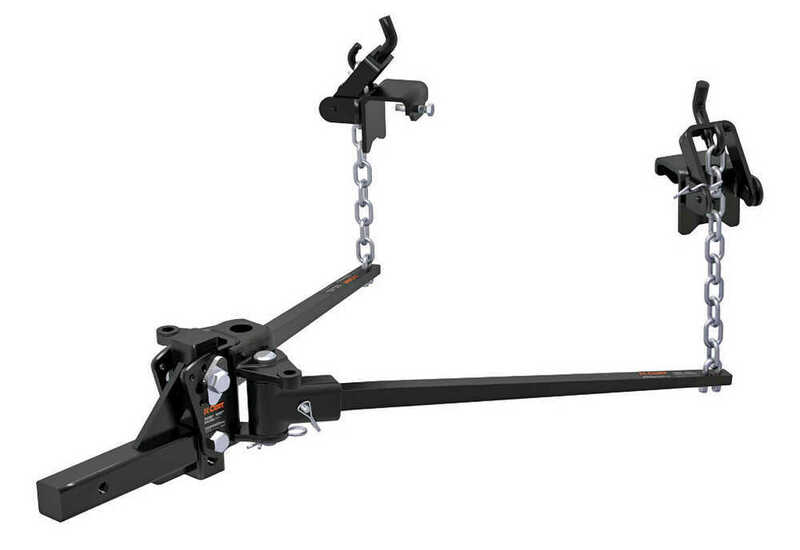 So you've decided you need a weight distribution system. This Curt weight distribution system is a nice entry level set up. It comes with almost everything you need. 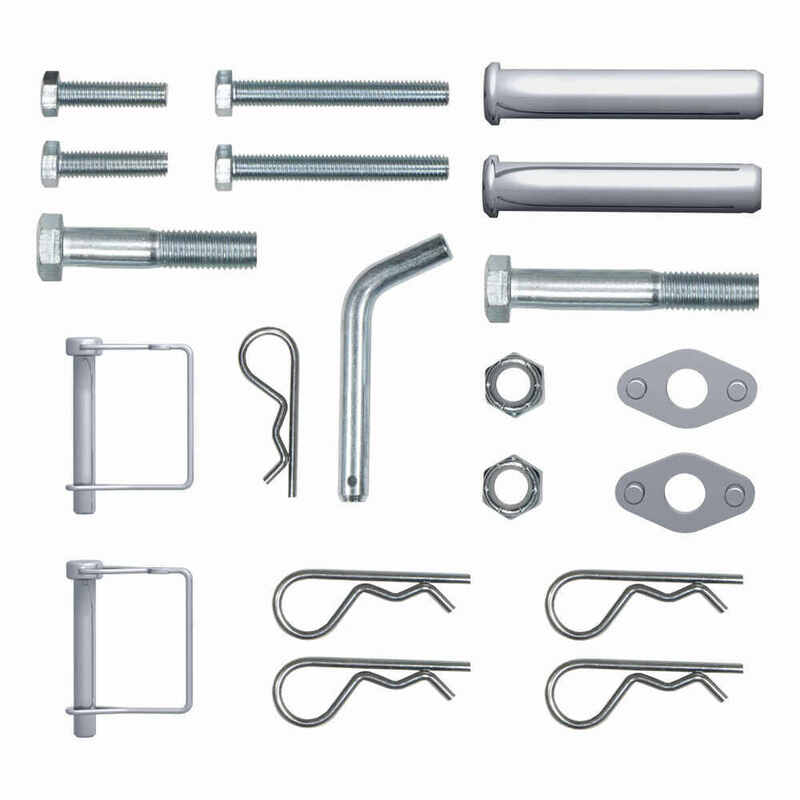 The adjustable shank, the adjustable head, the spring bar, the lift bracket and the lift bracket tool. You will, however, need to purchase your own hitch ball, make sure it has an 1" diameter shank. One thing that sets this weight distribution apart from the rest is it's ability to accept bar style friction sway control on either side of the head. Curt Friction Sway Control is available with part number 17200. It features three adjustable points on the shank, and the head tilt has 5 adjustable positions. 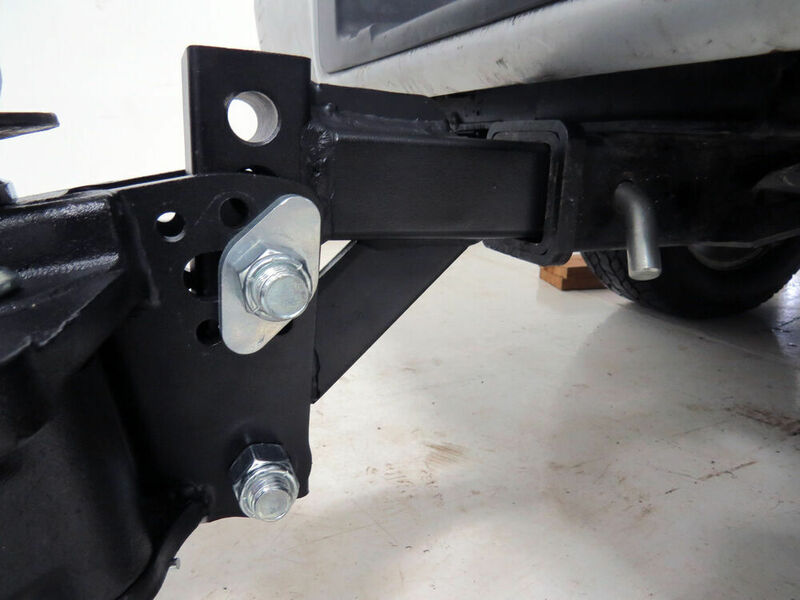 The spring bar tension is adjusted with a chain and the lift bracket. The lift brackets are easy to install, there is no drilling required. 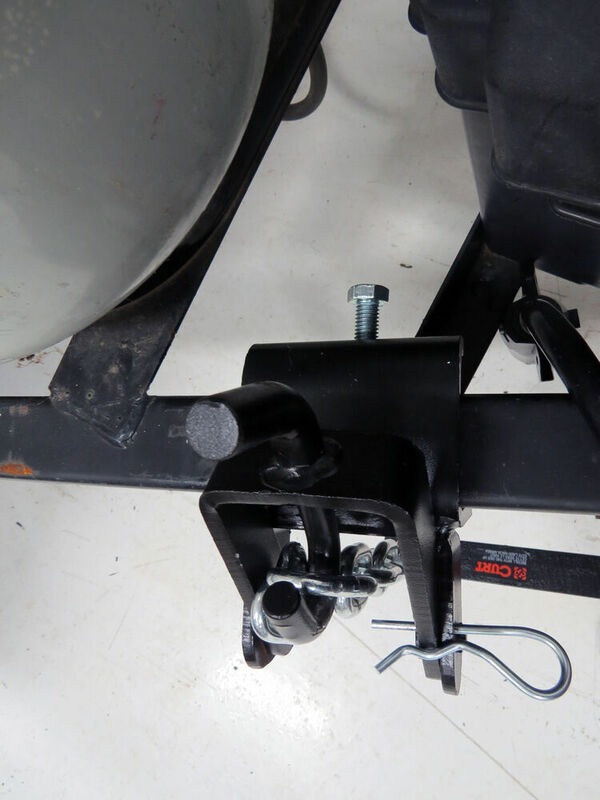 They simply sit on top of your trailer A-frame and tighten down with the included hardware. Our spring bars measure 28" and our bracket width measures 4". Our shank offers a maximum drop of " and a maximum rise of 7". 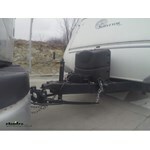 Our hitch pin and clip are included. Let's take a look at how weight distribution helps us out. I've gone ahead and disconnected, let's get a stock height measurement of our vehicle. Here at the rear we're going to measure from the ground up to the underside of the wheel well, we've got about 39". Here at the front we've got about 38". We want to be sure and write these measurements down because these are the measurements we want to get back when we engage and get our weight distribution hooked up. I've got my trailer hooked up without any weight distribution at all, here in the rear we're squatting about 1" from our stock measurement and here in the front we've tilted up about ". This can cause handling issues, traction issues, and tire wear. All in all, less than desirable. With our weight distribution hooked up, we're in for a much more enjoyable ride. We're back to stock height here at the rear, and we've only got " tilt here at the front. 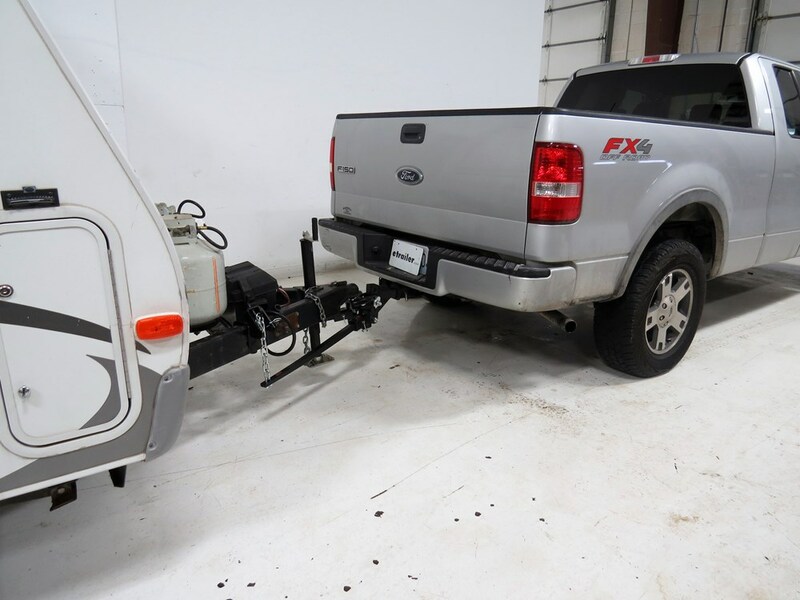 The weight distribution does just that, it distributes the weight evenly between the axles of your trailer and your tow vehicle. Lets take a closer look on how it's installed. The shank can be installed in either the rise or drop position. The head height is set with the included bolts and lock nuts and the head tilt spacer locks in our tilt. Increasing head tilt will allow us to apply more tension to the bars, giving us more lift. Our bars are attached to the head with the included pins and clips. 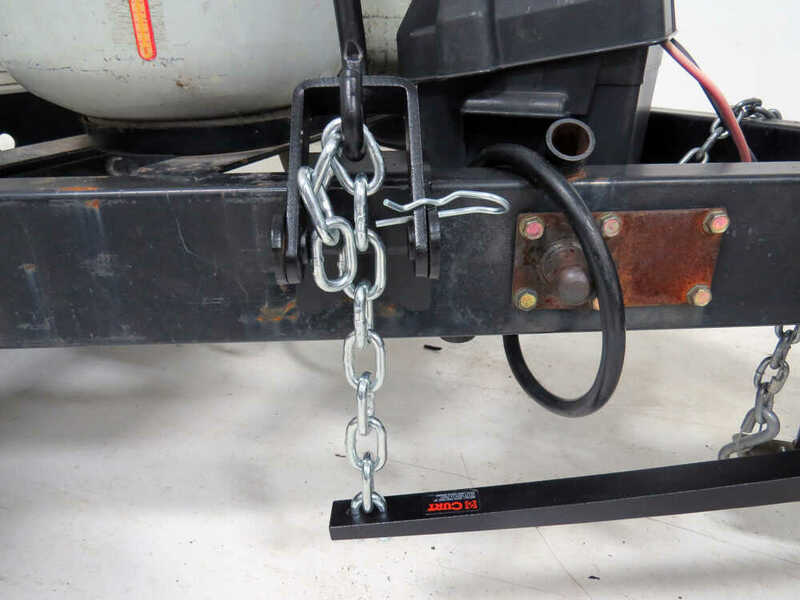 Our bars are attached to the lift bracket with the reinstalled chains. The fewer the links, the more tension you'll have. Though you won't want to drop below 5 links. Finally our lift bracket is secured to our trailers A-frame. There's no drilling required, it has all the hardware included though you may have to relocate your battery box, or your propane tanks. 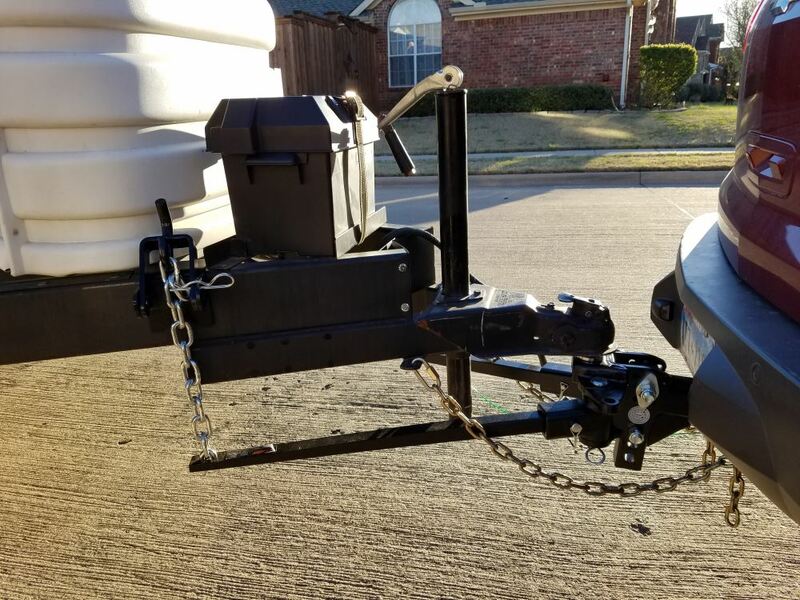 That's going to complete our look of the Curt Weight Distribution System with Shank, with an 8,000lb gross trailer weight and a 800lb tongue weight. Part number C17341. 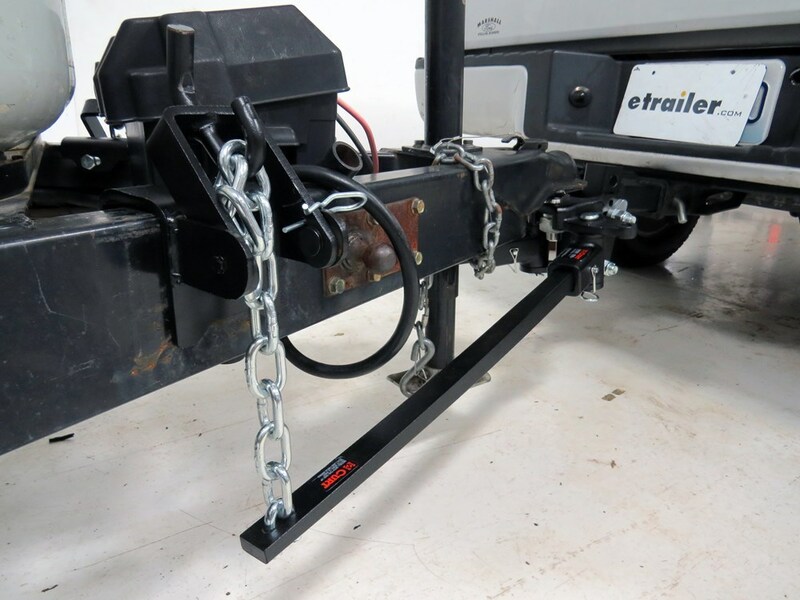 Order: RelevanceNewestRating - High to LowRating - Low to High This weight-distribution system will help to evenly distribute the load over the axles of both your tow vehicle and trailer for a smooth, controlled ride. Pin-style trunnion bars. Shank included. Hitch ball sold separately. The Equal-I-Zer brand weight distribution systems like the part # EQ37100ET are made in the USA, but the Curts you mentioned are not made in the USA. 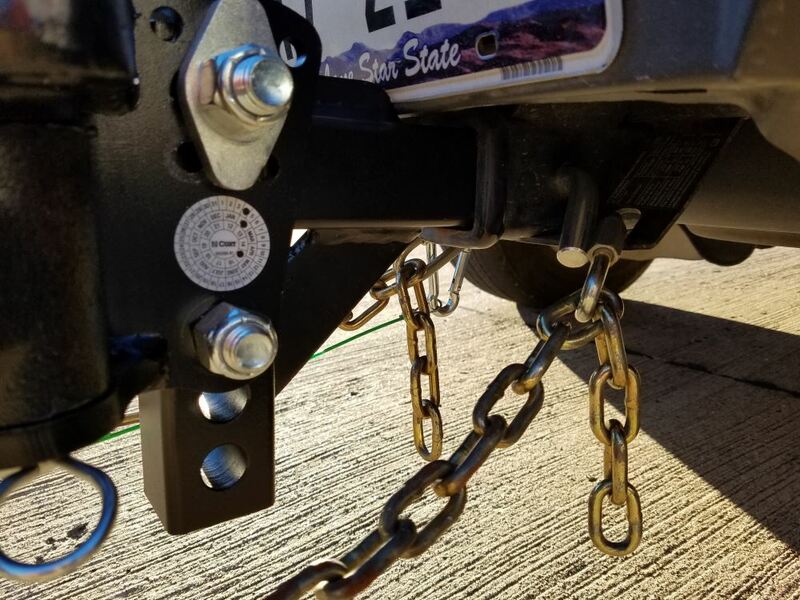 The Blue Ox SwayPro shank, part # BXW4001, measures 12 inches long from the hitch pin hole to the adjustment holes and it'll work just fine with the Curt system, part # C17341, you have. You didn't mention how much longer you need exactly this Blue Ox is 4 inches longer that what came with the system. It gives you a little more rise at 8 inches which you said you don't need but it's pretty close to the same. 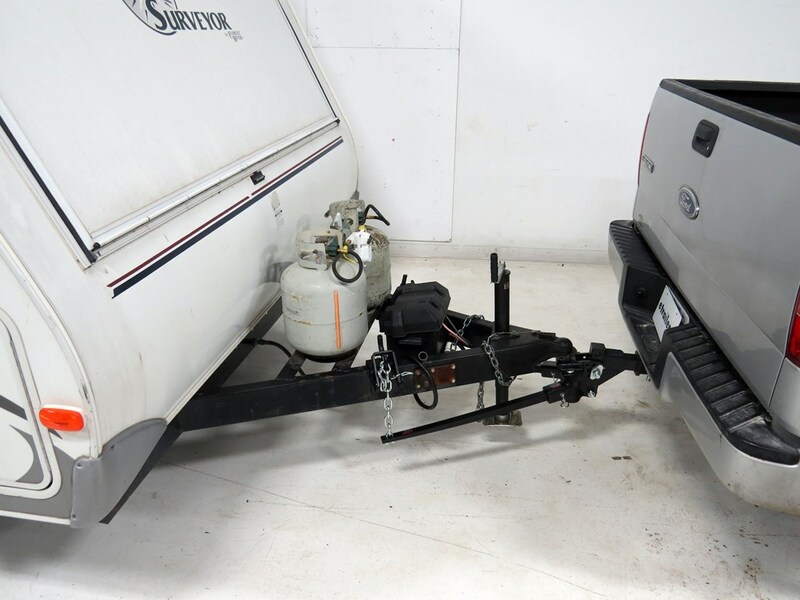 It also keeps your capacity since it's rated up to 15,000 pounds towing.